You may have heard that we’ve been working with Amazon on an integration that would allow Logitech Harmony hub-based remotes to work with Amazon Echo or Echo Dot. We’re excited to share with you that beginning today, you will be able to start and stop Harmony Activities, tune to your favorite TV channel, or directly launch Roku channels using Amazon Alexa. To take advantage of this new capability, launch the Alexa app on your smartphone and select Smart Home from the left hand navigation menu, Get More Smart Home Skills and search for ‘Harmony — Optimized for Smart Home’. A Logitech hub-based remote like Harmony Elite or Harmony Companion is required, as well as an Amazon Echo or Echo Dot. You can set up friendly names for each of your Harmony Activities — for example, “Alexa, turn on football” could trigger your Harmony Sports Night Activity, or “Alexa, turn on a movie” might power on your TV and open the HBO channel on your Roku. 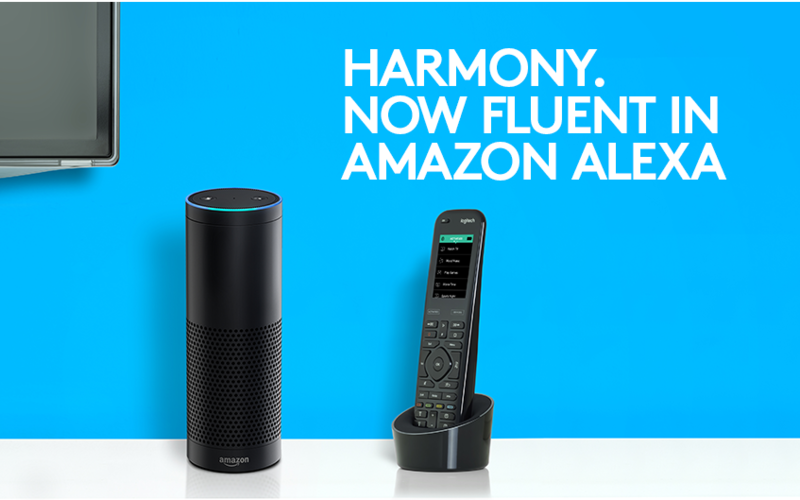 For additional information on using Harmony remotes with Amazon Alexa, please visit myharmony.com/alexa.